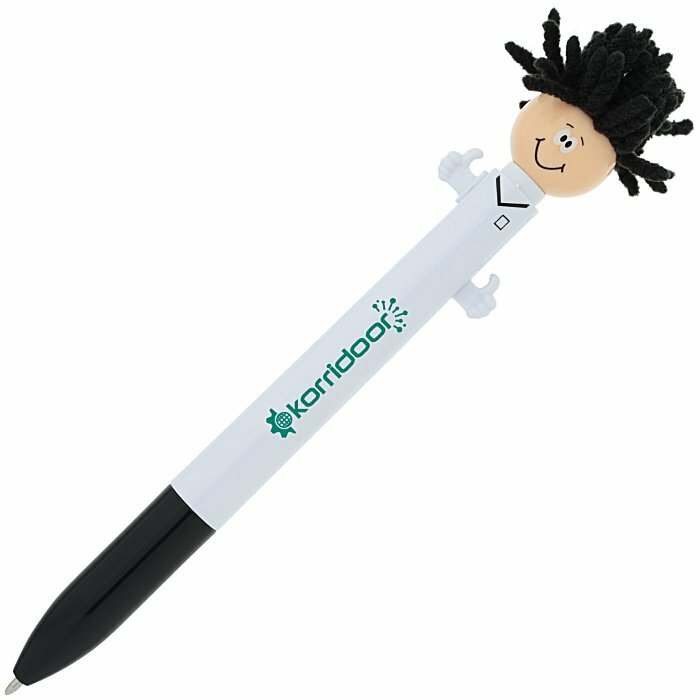 Top the competition with these imprinted pens! Let your logo stand out on these fun, multifunctional pens! 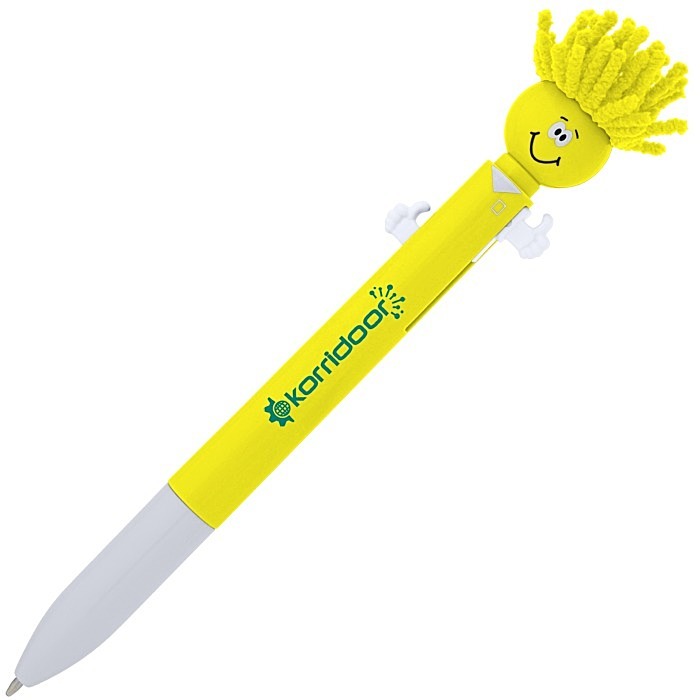 Each pen features a MopTopper smiley face and a head of microfiber hair for screen-cleaning purposes. Pens are designed with a colored face, a colored barrel and a white tip. Simply press down on the included "thumbs-up" hands to alternate between ink colors. Pens write in medium-point, red and black ink. Your price includes a one color imprint centered on the top of the barrel.